There are only four such shores like these anywhere in the world, a fact that keeps St. Barts at or near the top of my travel wish list year after year. When I dream about traveling to St. Barths, I think about pool-hopping, though not in the jet set fashion most commonly associated with the island. There are so many reasons to want to sail around St. Martin/St. Maarten. Here are our top seven! There are calm moments found aboard a sailboat that can't be experienced anywhere else. Nowhere in the Caribbean is quite as synonymous with "The Good Life" as St. Barths. 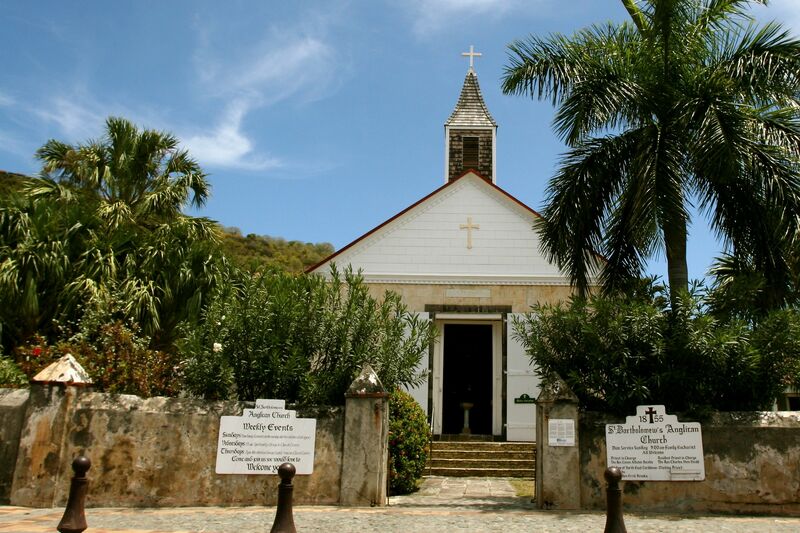 Located in the heart of Gustavia, St. Bartholomew's reflects the classic charm of the Caribbean churches of yesteryear – doors always open, all always welcome.